Article originally appeared in Laboratory Design on September 21, 2016. Laboratory Design spoke with Lucianna Lucarelli, LEED AP, Director of Interiors with TRIA in Boston. 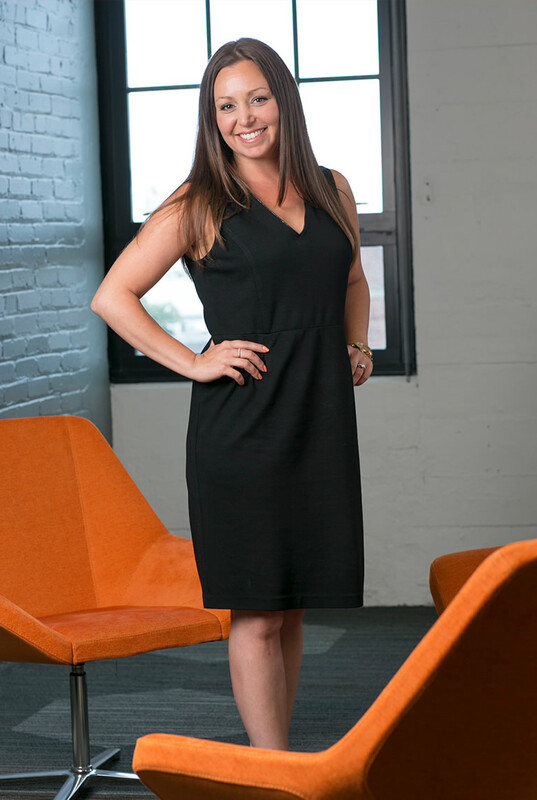 Lucianna brings 15 years of experience to the job, designing creative and innovative spaces for many repeat clients. She is passionate about providing thoughtful design and leadership, working closely with the entire team to produce successful projects. I’ve always had a love for art. In high school, I fell in love with ceramics, pottery and photography. When I moved here for college, it just made sense to study art. My love for art made studying architecture a natural next step in my life. I studied architecture in college, and after working in the field for a couple of years, I honed my skillset in interior design where I have found my true passion. Every day is a different but I start with making a to-do list. To some people a list could be overwhelming but for me it gives me focus. On any given day, I could start off with a client meeting before lunch, lunch with a potential client, interview for a new project in the early afternoon, and the rest of the day in the office collaborating with my team on the design for multiple corporate interior and office/lab projects. It is important for us as a team to work closely together as many of our projects consist of a lab and office element. We take a holistic design approach so that the spaces take on a cohesive flow throughout our client’s entire workspace. If you could give just one piece of advice to others in your field, what would it be? Be kind and helpful to everyone; you were once in their shoes. A good leader knows you’re only as good as the people and team around you. What was your favorite college class? Was it related to your current career? I loved my studio classes. I had great professors who inspired my creativity. These classes offered me first-hand experience collaborating with my peers. Constructive criticism was another big lesson, and in my career, this helped me to develop a client-centered design approach instead of only designing with my preferences in mind. Giving expert advice is one thing, pushing your own style on another is quite different. What advice do you have for people just starting their career, or for students who are thinking of majoring in architecture/engineering/etc.? To have patience when you are starting in this career. Experience comes with time. It took me several years to gain total confidence in my design abilities. There will eventually come a time when you are finally completely self-assure in your skillset.